Economist Paul Krugman Warned India's Growth Model Could Cause Problems. Was He Right? An employee installs an exhaust pipe on the chassis of a Mahindra & Mahindra Ltd. Bolero sport-utility vehicle (SUV) on the production line at the company's facility in Chakan, Maharashtra, India. India’s economy has a lot going for it: it's already huge, and still growing relatively fast, at 7.2%, surpassing even China's 6.8%. It has a young, working-age population; and a public that craves new technology. In the last three years, foreign investors poured in $209 billion, while multinational companies are expanding their Indian operations or starting new ones. In 10 years, economic forecasters predict that India’s economy will climb to the third largest in the world, behind only the U.S. and China. India and China: Is this too just rivalry as usual? The inexorable growth of China’s GDP having long surpassed Japan’s and is now taking aim at that of the USA ($14 trillion), whose economy is at present more than two and a half times bigger than that of China. It took China a little less than a decade to make a similar leap to overtake Japan. But then Japan has hardly been growing from 1995 and its GDP has been roller coasting between $4-5 trillion. If the growth of economies were a horserace, this would be akin to passing a fast starter who has slowed down to a trot. Overtaking the USA will still take some years and some effort as that country has begun posting some smart growth after the gargantuan Obama stimulus package pump primed, not just the US economy but also the world's economy, and particularly of countries like China which have a symbiotic economic relationship with it. Despite this Chinese GDP is expected to surpass that of the US well before 2030 when it will about $20 trillion. A U.S. Army helicopter flies from Camp Shorab to Camp Bost on Sept. 11, 2017 in Helmand Province, Afghanistan. Just one day after a double suicide bombing in Kabul killed at least 31 people and wounded scores more, a U.S. military watchdog released a report with a set of dismal statistics on the U.S. involvement in Afghanistan.The report conflicts with the optimism projected by senior military officials, including U.S. Defense Secretary James Mattis. “We do look toward a victory in Afghanistan,” Mattis said shortly before visiting the country in March, echoing the phraseology of his predecessors. He said this meant a political reconciliation between its insurgents and leaders, and Afghan security forces strong enough to defend the government by themselves. Islamabad’s new international airport, whose bill was reportedly partially footed by Beijing and which was built by the China State Construction Engineering Corporation (CSCEC), is all set for operation after a smooth trial run last Saturday in which a Pakistan International Airlines passenger plane touched down on one of the two runways. 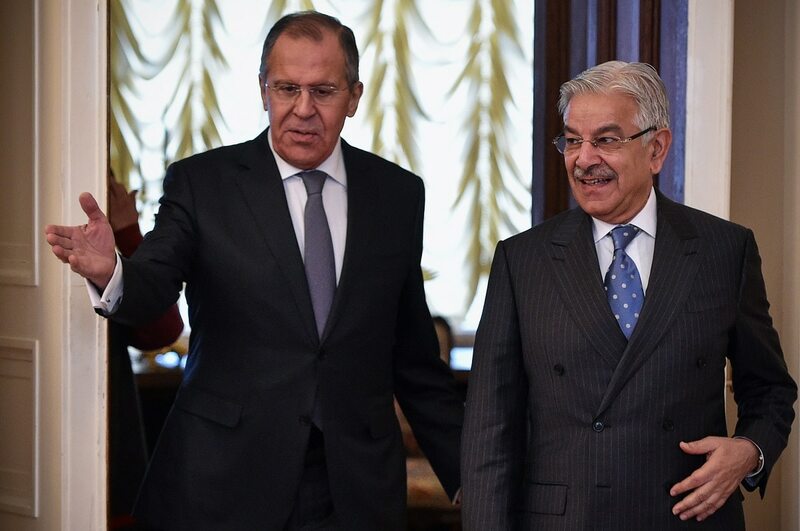 The project was awarded in 2011 to a joint venture of the state-owned Chinese contractor and Pakistani firms through an international tendering process. With a 180,000-square-meter, 15-gate terminal made up of components prefabricated in China and riveted and welded together onsite, the airport will be able to handle 9 million passengers and 80,000 tons of cargo per annum, People’s Daily reported, citing a CSCEC official. China is clearly militarizing the South China Sea. To many, that was obvious years ago. For remaining doubters, Mischief Reef should clear up any doubts. 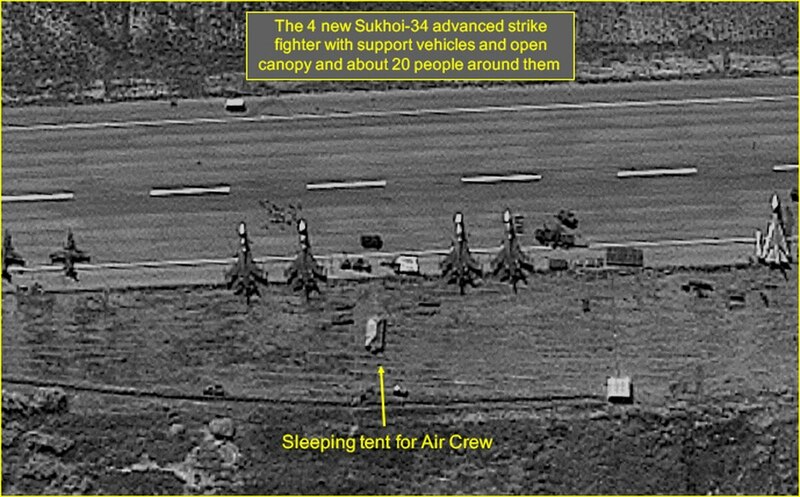 According to a report by CNBC, China has quietly, within the past 30 days, installed anti-ship cruise missiles and surface-to-air missile systems on Mischief Reef and two other fortified outposts in the Spratly Islands. CNBC cited “sources with direct knowledge of US intelligence reports.” A contested sea. China long denied that it was up to any, well, mischief at Mischief Reef. It began building there in the mid-1990s, erecting a structure on stilts and claiming it was merely a shelter for fishermen. But with the reef being just 217 kilometers (135 miles) from the coast of the Philippines’ Palawan island, it made officials in Manila—as well as ones in Vietnam, Malaysia, and other nations with claims in the sea—nervous. In its natural state, Mischief Reef was submerged at high tide. By the end of 2016, after much dredging and building—and environmental destruction—China had installed a runway, hangars, and large anti-aircraft guns. Beijing had stopped pretending about the fishermen’s shelter, but it stuck to an argument that its facilities were defensive in nature. The missile systems have also been installed on nearby Fiery Cross Reef and Subi Reef, according to the report, but their presence on Mischief Reef is particularly questionable. In addition to generating no legal entitlement—not even a territorial sea, since in its natural state it was submerged at high tide—Mischief Reef is within the exclusive economic zone of the Philippines and especially close to its shores. An international tribunal determined in 2016 that by transforming the reef at great environmental cost into an artificial island, it infringed upon the Philippines’ sovereign rights in its EEZ and continental shelf. 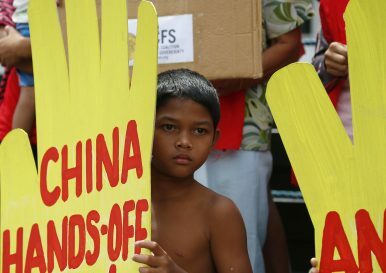 Yet Philippines president Rodrigo Duterte, who has cozied up to Beijing since taking office in 2016, has argued that China building military bases within striking range of his country is not problem because they’re intended not as a threat to Filipinos but to counter US power. The problem with such reasoning, of course, is that intentions can change. Recent trade skirmishes between China and the United States are less about steel and soybeans and more about which country will be the leader in global innovation in the 21st century, writes Wharton dean Geoffrey Garrettin this opinion piece. The escalation of tariffs between China and the United States is haunting the financial markets. “Manageable, orchestrated trade skirmishes” is probably the right description. But “trade war” is so much better a headline. Either way, what is really going on is not about trade; it is about who will lead global innovation in the 21st century. Think less steel, soybeans and solar panels, and more electric vehicles, self-driving cars and artificial intelligence. Five years have passed since China’s Belt and Road Initiative (BRI) was first announced in Kazakhstan, and it continues to have a serious image problem. Considering the huge debts piling up on infrastructure projects in Laos and Sri Lanka, concerns about Chinese intentions are not unfounded. The Center for Global Development recently published a list of seven additional countries that are at risk of excessive lending. Such cases are easy ammunition for opponents of Chinese projects in Southeast Asia and, increasingly, opponents of the BRI in Southeast Asia have been using the narrative of geopolitics to destabilize Chinese projects. In the West, government accountability is closely identified with democratic elections. In China, it is a function of how – and how well – the government responds to and protects the needs and interests of the people. China’s recent constitutional amendment eliminating the term limits for the president and vice president has left much of the West aghast. Critics fear the emergence of a new and unaccountable dictatorship, with President Xi Jinping becoming “Chairman Mao 2.0.” This response is more than a little inappropriate. Long tenures are not exactly unheard of in the West. For example, German Chancellor Angela Merkel has just begun her fourth four-year term – a development that the rest of Europe has largely welcomed rather than criticized. WHAT ROLE FOR U.S. MILITARY IN SOUTH KOREA IN A PENINSULA AT PEACE? President Donald Trump has allegedly instructed the Pentagon to reduce the U.S. military presence in South Korea, The New York Times reported on Thursday, citing unidentified officials involved in the discussions. The Pentagon has denied knowledge of any plans to address Trump's request at a press briefing. The South Korean presidential office also told reporters in Seoul that a White House National Security Council (NSC) official rejected the report. "A key official from the White House NSC has said the report is not true at all," South Korean president Moon Jae-in's spokesperson Yoon Young-chan said in a statement quoted by Yonhap news agency on Friday, just as South Korea's national security adviser Chung Eui-yong flew to Washington to meet U.S. counterpart John Bolton. Imagine an analyst tasked with watching hours of video footage or poring over thousands of images searching for a particular object. What if a machine could process this data for the analyst in seconds, freeing the analyst to perform more critical thinking rather than searching databases? Advancements in automation, machine learning and artificial intelligence are increasingly serving this purpose of “unburdening” analysts. With greater interest and adoption of these technologies into operations, there is more clarity of how they will work. Leveraging these tools will allow staffers to get back to performing analysis rather than poring over the data itself. But in interviews with industry representatives, what’s becoming clearer is exactly how intelligence agencies can use these new technologies. In short: machines will pre-sort or manipulate data and then present its findings to a human for additional analysis, weeding out hours of manual labor. In new book, Sen. John McCain says it’s time for America to go on the offensive in the information war with Russia. WASHINGTON — Sen. John McCain wrote in his new book that America should seriously consider a cyberattack to retaliate for Russia’s meddling in U.S. elections, to send a strong message to the superpower. “I’m of the opinion that unless [Russian President Vladimir] Putin is made to regret his decision he will return to the scene of the crime again and again,” wrote McCain, the well-known Arizona Republican who is battling brain cancer. The book, titled “The Restless Wave” and scheduled for a May 22 release, also touches on accusations that Russia could have compromising material related to U.S. President Donald Trump and confirms that McCain has reviewed a copy of the the Steele dossier — opposition research authored by an ex-British spy that includes salacious allegations about Trump and his alleged ties to Russia. Kyiv. The new conventional wisdom is that four years after Maidan, reforms have stalled in Ukraine and corruption has consumed the leadership. But this picture is hardly true. Certainly, the economy has stabilised, but economic growth stopped at 2.1 per cent last year. Yet a broad reform agenda is still proceeding, though everything is contentious. 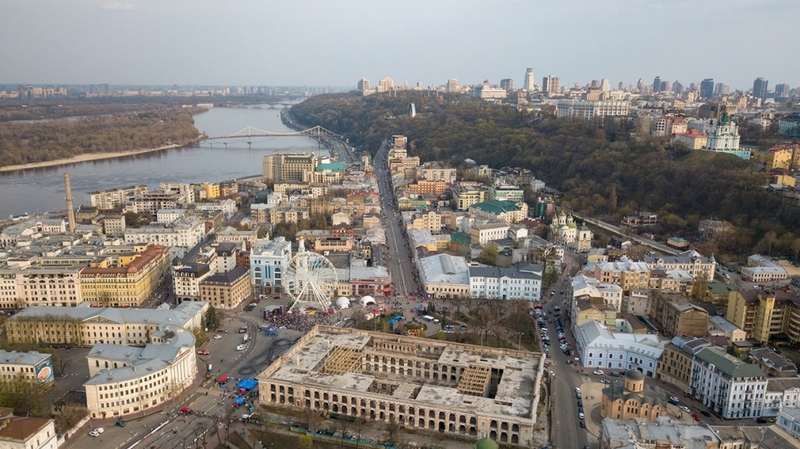 The most striking impression from one week of intense meetings with senior policymakers and businessmen in Kyiv is that every issue is contested. The many conflicts slow down the speed with which things move forward, but they also block reversals. Trump claimed on the campaign trail that globalization had destroyed US manufacturing—and in the process, the American economy—by letting China and other countries steal American factory jobs. From the turnout at Trump’s rallies and the “Make America Great Again” stickers slapped on bumpers across America, it was clear the message was resonating. The data camp didn’t get it. Yes, the US had hemorrhaged manufacturing jobs, losing close to 5 million of them since 2000. Trade may have been a factor—but it clearly wasn’t the main culprit. Automation was. Robots and fancy machines had supplanted workers, turning the US into a manufacturing dynamo at the cutting edge of innovation. An article in Vox, published a month before the 2016 presidential election, spelled out the situation. The nature of warfare has shifted from physical to online, seeing a deluge of state-sponsored cyber assaults on the West. The issue was put under the global spotlight last month (April), when the UK and US made an unprecedented joint statement blaming Russia for cyber-attacks on businesses and consumers. The announcement – which is the first time two nations have come together to show solidarity in this area – saw the National Cyber Security Centre (NCSC), US Department of Homeland Security and the FBI warn businesses and citizens that Russia is exploiting network infrastructure devices such as routers around the world. The aim: To lay the groundwork for future attacks on critical infrastructure such as power stations and energy grids. China remains firmly in the lead on our Electric Vehicle Index. But other pockets of growing public- and private-sector commitment to these vehicles have emerged. Last year, for the first time, global sales of new electric vehicles (EVs)1passed a million units (Exhibit 1), according to McKinsey’s Electric Vehicle Index (see sidebar, “What is the Electric Vehicle Index?”). Under the current growth trajectory, EV producers could almost quadruple that achievement by 2020, moving 4.5 million units, around 5 percent of the overall global light-vehicle market. Around 1,000 participants from 30 member countries of the North Atlantic Treaty Organization (NATO) gathered in the tiny Baltic nation of Estonia late last month to prepare for war with an enemy that looks a lot like Russia, according to reports. The exercises were dystopian and catastrophic, and included simulated cyberattacks, poisoned water supplies, a hacked drone employed to kill NATO soldiers and a faulty power grid. As tensions ratchet up between Moscow and the West, NATO countries, especially those like Estonia that border Russia, are increasingly preparing for the worst. The Locked Shields live-fire cyber exercise is a key part of that preparation. After information about a newly discovered flaw or exploit becomes the public, attackers use it to target unclassified U.S. Department of Defense networks within 24 hours. 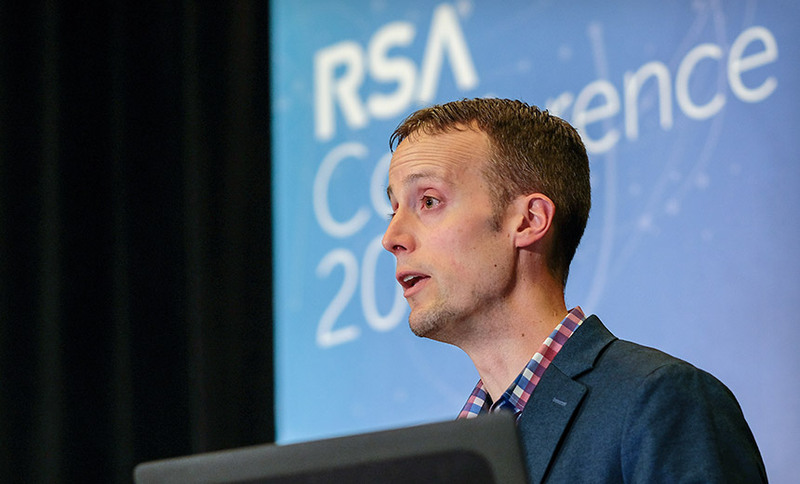 "Within 24 hours of a vulnerability or exploit being released, it's weaponized and used against us," said the National Security Agency's David Hogue in a presentation at last month's RSA conference in San Francisco. "NSA has not responded to an [unclassified network] intrusion that has used a zero-day [exploit] in the last 24 months." For example, Hogue says a nation-state attacker began scanning DOD networks less than 24 hours after an Apache Struts flaw was revealed in March 2017 - at the same time a patch was released - looking for unpatched DOD servers. The same flaw was later used to exploit data broker Equifax. How Can AI Help in a Humanitarian Crisis? Artificial intelligence , or AI , is undergoing a period of massive expansion. This is not becausecomputers have achieved human-like consciousness, but because of advances in machine learning, where computers learn from huge databases how to classify new data . At the cutting edge are the neural networks that have learned to recognise human faces or play Go. Recognising patterns in data can also be used as a predictive tool. AI is being applied to echocardiograms to predict heart disease, to workplace data to predict if employees are going to leave, and to social media feeds to detect signs of incipient depression or suicidal tendencies. Any walk of life where there is abundant data – and that means pretty much every aspect of life – is being eyed up by government or business for the application of AI. With the war in Afghanistan now in its 17th year, the U.S. military is engaged in the longest stretch of armed conflict in its history. And yet its leaders are keeping the American public in the dark about its operations around the world, while seeking to obscure what little information is available. Secrecy surrounding the U.S. military isn’t new: under President Barack Obama, the Department of Defense (DOD) used creative accounting strategies, such as excluding temporary deployments from official tallies, to keep reported troop levels beneath caps set by the White House. And no president has been capable of publicly confirming the total number and cost of military personnel, civilians, and contractors necessary to support U.S. operations overseas. Still, recent administrations have understood that the public relies on troop levels as an imperfect marker of American strategy, commitment, and even success, and have shared force management levels as planning tools and contributions to public dialogue.